518 ft of fun for all the family. 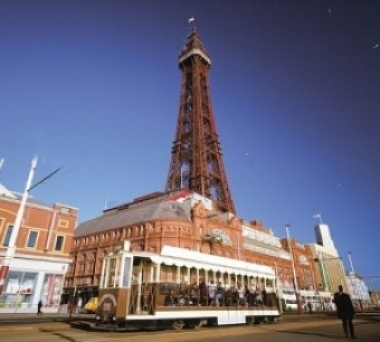 There’s truly something for everyone at The Blackpool Tower, from Dungeon thrills to Circus skills. After almost a year of redevelopment, you will once again be able to ride the lifts to the top of the tower to encounter a sensational new viewing experience. Before ascending to the Tower Eye, you will experience Blackpool’s first ever 4D Cinema experience. The amazing short film is brought to life with sensory effects, such as wind rain and sunshine, to bring all things ‘Blackpool’ to life. 2011 sees ‘The Best of Blackpool’ return to the famous Circus. The Endrez family are celebrating their 20th year of producing fantastic shows by inviting back some of their favourite acts from around the globe. You’ll be amazed at the many acrobatics, tricks and entertainers ready to wow you for each and every performance, as well as Blackpool’s favourite double act, Mooky the Clown and Mr Boo.